I was extremely honored, and truly grateful to receive the "Vanguard in Stunt work Award" at the Screen Nation 2011 ceremony which took place at the Indigo 02 arena on Sunday 16th October. 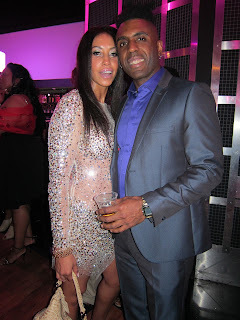 I would like to thank Charles Thompson MBE and Screen Nation for their love and support. I am looking forward to receiving the actual award, which is beautiful! and will be a pleasure to admire on a daily basis.